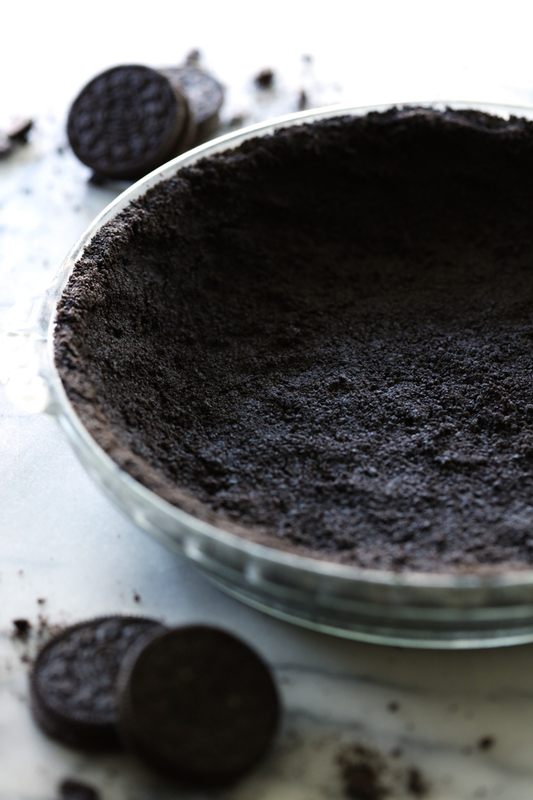 A simple and delicious Oreo pie crust recipe that is perfect for no bake pies! It pairs well with with anything that goes with chocolate! Summertime means a lot of no bake recipes at my house. 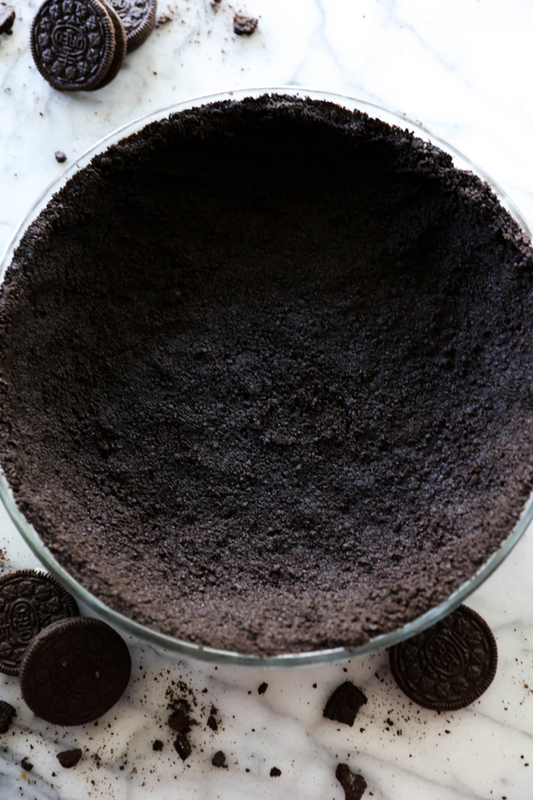 I hate turning on my oven when I don’t have to, which is why this Oreo Pie Crust recipe is PERFECT! Oreo crust are my go-to for anything pie that goes with chocolate and this recipe is SO simple to throw together! Let this be your next chocolate crust! You will be so glad you gave it a try! A simple and delicious pie crust recipe that is perfect for no bake pies! It pairs well with with anything that goes with chocolate! Place Oreos in a food processor and blend until fine crumbs. Place Oreo crumbs in a medium mixing bowl and add melted butter. Mix well. Pour Oreo mixture into a 9 inch pie pan. Press Oreos evenly to cover the bottom and sides of the pie pan. Refrigerate crust for an hour before filling. I can just see myself loading strawberries and cream in this chocolatey pie crust!